In the 21st century, the internet has ushered in a new world where information, media and entertainment is easily accessible at the click of a mouse. Unfortunately, this free and easy access has made it very easy for our kids to access age-inappropriate material, and it has made it easier for people with malicious intent (like bullies or predators) to gain access to and harm our children. There are many amazing benefits that the net can confer upon today’s kids, but it is vital that you take the necessary steps to keep them protected from threats that are out there on the web. By following these tips to keep kids safe online, you’ll be doing your best to combat the bad, while still allowing them to experience the many wonders that a wired world offers. The second they can pick up a tablet or type a web address in a URL bar, you need to start talking to your kids about all the threats that lurk out there on the world wide web. Start by only allowing them to access sites in your presence, as even seemingly innocent sites like YouTube can serve up inappropriate videos in the sidebar like they watch cartoons. As they get older, educate that anything they put on their social media profiles or in a chat session can be used against them, be it by a predator, or a potential future employer. Despite your best efforts, their lack of internet experience throughout their early years may lead them to access questionable websites, where viruses and malware may lurk. By installing free virus protection on all the computers that your child accesses, you will keep your devices protected from rogue programs that may compromise the security of information that is stored or inputted on your computer. As maddening as it can be, children will constantly try to push the limits that you set to see what behavior they can get away with. By allowing them to have a computer with internet access in their room, they can access any site they desire without fear of being found out. By placing computers with internet access in common areas where you can track their activities, they’ll be less likely to access things that they shouldn’t. In spite of the first two steps, your kids may still try to access sites that they heard about at school from their peers (you know what we mean). To head them off at the pass, installing screening sofrtware on your computer will block them from accessing sites that are inappropriate for children, keeping them away from potentially harmful influences. It’s inevitable … once your kids become teens and get into high school, they’ll be asked what their Facebook/Twitter/Snapchat account handle is. Trying to deny them from getting online at this point will likely spawn a vicious argument about how unfair and strict you are, so as a compromise, offer to allow them to get on the social media platform of their choice … if they add you as a follower or friend. They may not like it, but it’s a necessary compromise to keep track of any potential problems that might arise in their daily lives. 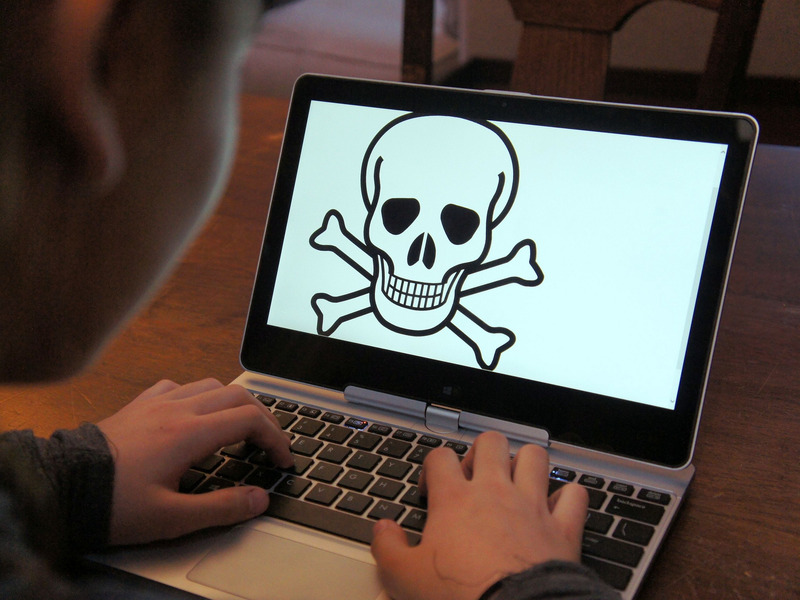 Finally, with the ever-changing nature of the web, it can be tough to assess which sites are innocent and which might expose your kids to a harmful situation. As such, it is vital to scan your browser history on a regular basis to see what your kids are looking at. If the browser history keeps getting cleansed frequently, the smart little buggers are trying to hide what they are looking at from you. If this is happening, monitor your kid’s internet usage more vigilantly. If they swiftly close programs and/or act nervous when you enter the room, you may need to have a talk about what they have been up to on the web lately.